In the early 1970’s, a beat cop in Kitchener, Ontario, Charlie Kaplin decided he was done with night shifts and wanted to do something that allowed him the freedom to spend time with his young family. He asked himself what is a sustainable career with longevity, something he could do for the rest of his life….something guaranteed there will always be a need for. His options were: funeral director or garbage man. So with that settled a very humble and recently retired policeman walked into Superior Sanitation waste company looking for a job at 6am after his last night shift. The manager asked him: “have you ever driven a Shu pak?” Charlie responded no but I’m ready to learn now. Correct answer because the manager hired him, gave him a 5 minute lesson and a map and said: “when you run out of garbage come on back to the yard”. With excitement, Charlie left the yard. 5 loads and 12 hours later he made it back. The manager asked him if he would be back tomorrow and he responded with “if I can get my wife to kick me out of bed”. The manager said it will be easier tomorrow there were 3 guys off today! A garbageman was born and Charlie successfully made his way up the ranks in the company. Two years later he was transferred to Sarnia, Ontario where he was in charge of the collection for the City of Sarnia. 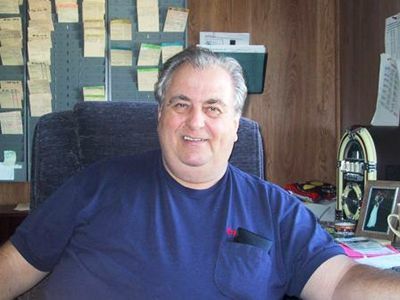 After several years and moving up through different companies in 1993 he and his wife managed to buy Marcotte Disposal in Port Huron, Michigan a small residential operation established in 1917 that Charlie saw so much potential in. He knew with some love and a lot of hard work he could grow the company into something great. In 1999 Marcotte was successful in bidding the school board CKLAG commercial collection and it was official – Marcotte had become and international company…Charlie had achieved his dream thanks to the love and support of his wife Theresa, the constant encouragement and their combined decisions to take risks. Through the years they was able to support kid’s sporting teams, employ community living kids who didn’t have any other opportunities and help many along his path. Charlie’s vision never suffered because of the growth and development of the company, he loved to listen and enjoyed talking with people. There were difficult times as everyone has and with the support of family and close friends Charlie and Theresa were able to work through the trials and persevered to grow the business. During all the ups and downs, Charlie still remained unchanged and people would still see him out plowing snow, red cap perched on his head, and a smile on his face. He was a people person. Charlie took pride in being a garbage man, he was proud of what he accomplished and he was a genuinely fulfilled with his life. He said to his family: “if I die tomorrow, I die a happy man”. The accomplishments Charlie and Theresa made as a family carried over into Marcotte making it a true family run business governed by family practices. Through out the years almost everyone in Charlie’s family worked and contributed to the growth of Marcotte. He was very proud to provide a living for his family and always said: “the work is dirty but the money is clean”. Today Charlie Kaplin’s legacy lives on at Marcotte Disposal, through his family who maintain the values and work ethic set out by him. Marcotte Disposal moves forward with the same sense of purpose and pride Charlie started out with over 40 years ago.